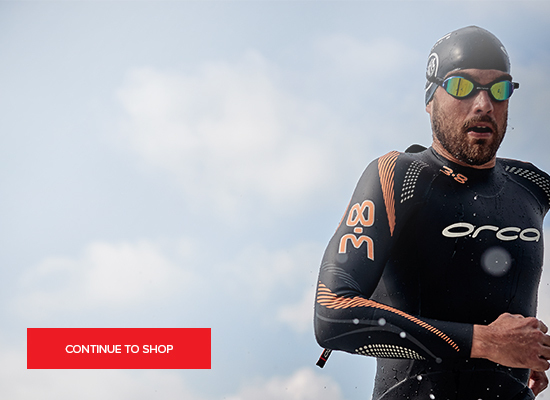 This Trisuit has been designed under the guidance of Dave Scott, an expert when it comes to what a suit must deliver on in terms of functionality. His priorities are comfort, thermodynamics and speed - all factors that the team at HUUB have focussed upon and effectively delivered. The synthetic chamois fabric of this suit has been ergonomically designed for long distance swimming, cycling and running. The shape and material have been developed to support open hip positions when cycling as this has been proven to result in better times, and is more comfortable for the rider. All designs are manufactured using Coldblack technology, which provides you with UPF 30 protection and offers you a professional level of thermodynamic properties. This technology also makes the fabric repel the sun’s rays, bringing down your body temperature and the amount of UV rays that penetrate the suit without changing its appearance. The short sleeves are longer than most short sleeved trisuits, making them more aerodynamic and improving the control of your upper arm muscles; they will help to reduce muscle vibrations and shield the more sensitive areas from the sun. The arm and leg cuffs are completely seam-free and the rear pockets lie flat against your skin and are covered to help make you more aerodynamic - shaving precious seconds off your time! In classic black, this suit is the sleek, no-fuss answer to your event clothing issues. THERMODYNAMIC – the suit has mesh panels in the areas you will need the most ventilation so that your body can breathe. The whole suit employs Coldblack technology to keep you cool, and all the fabrics are heat reflective. The suit has a full frontal zip to allow even more ventilation when needed. WATERPROOF – the latest high-wick technology prevents sweat from settling into the fabric, keeping you cool and dry, yet remains soft to the touch so that chafing and irritation are prevented. UPF 30 - the fabric will only allow 1/30 of the sun’s ultra violet light to penetrate the suit. AERODYNAMIC – the suit’s short sleeves are longer than a standard trisuit or jersey and this will help to make your arms more aerodynamic. The suit has concealed pockets on the rear to avoid creating extra air resistance. The suit’s arm and leg cuffs are also seam-free which will help with aerodynamics. Ordered the suit for Tri Sprint in May, and it came in good time as promised, haven't used it yet, but tried it on and fits and feels great, looking forward to using it in anger. Had a small issue with the ordering process, but the guys were on the ball and sorted it no problem. Will maybe add to this review after May Tri Sprint.